Truth and Dare will be launched in February 2014, together with the Red Black and Green Revolutionary EcoMusic Tour in Vermont and New York City. 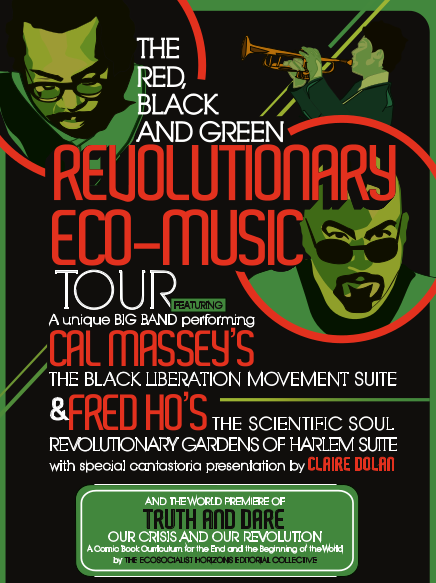 This tour will feature a 16 piece big band full of world-class musicians, performing the music of two revolutionary composers of the 1970s and the 21st century, Cal Massey and Fred Ho. 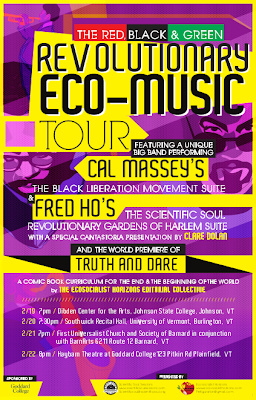 A free copy of Truth and Dare will be distributed to everyone who attends the tour events in Vermont. Extra copies will be available for sale. Praise for Truth and Dare!